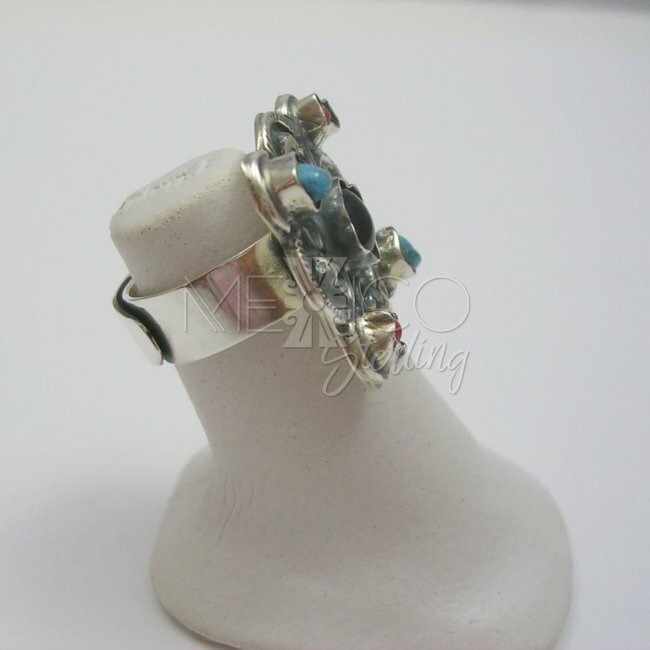 Adjustable Taxco Silver Ring with Stones [RNG3107] - $50.00 : Mexico Sterling Silver Jewelry, Proundly from Mexico to the world. 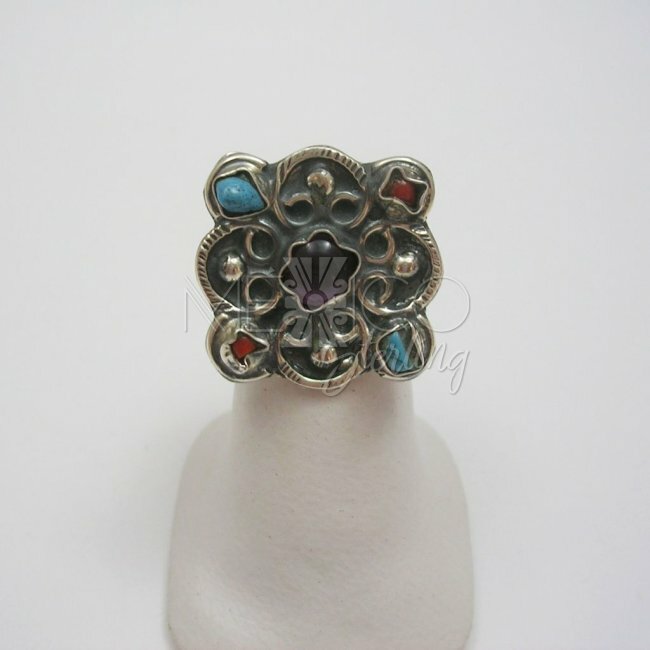 This baroque style silver ring, has a very decorated flower shape. 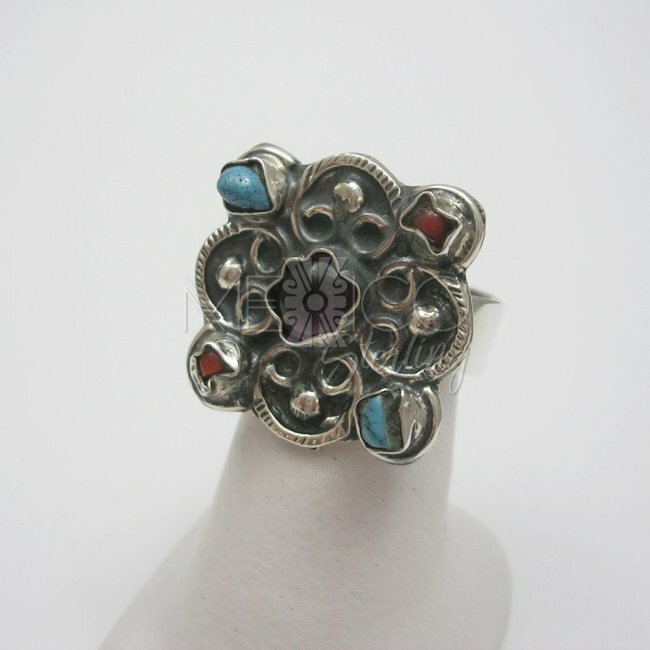 The darker oxidized silver on the background gives it a vintage, rustic look, predominant characteristic of the Matl-Matilde silver designs. 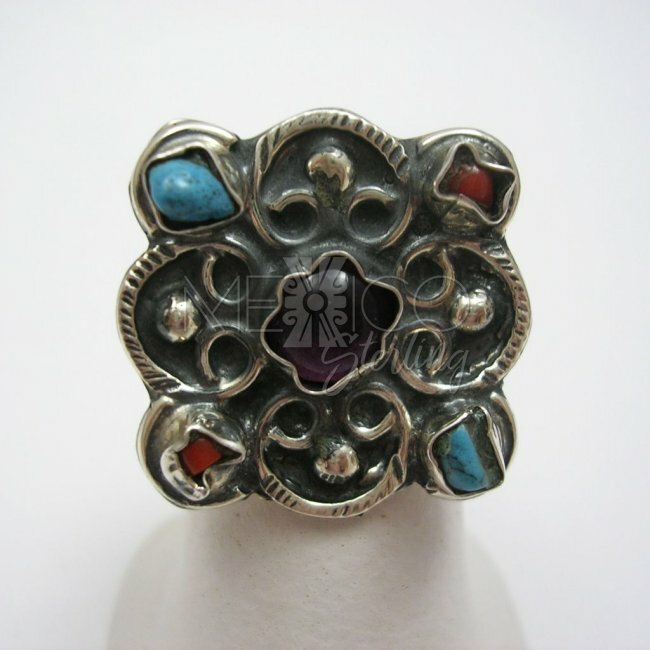 It is also enhanced by the natural stones that finish the four corners of the flower. 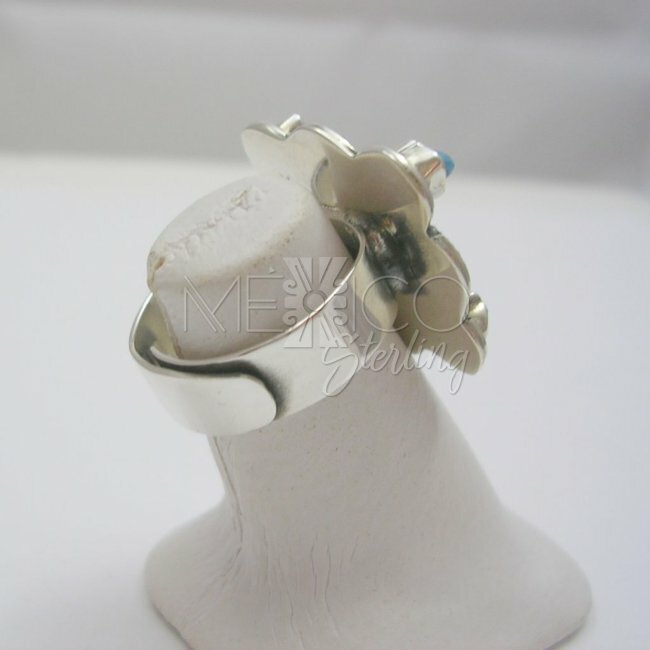 It is an adjustable ring with a substantial weight for its size. 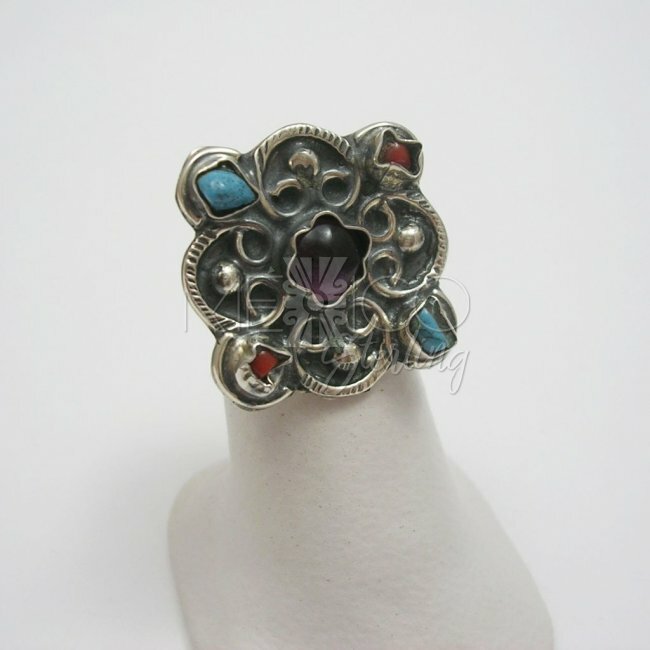 It's also a perfect piece for taxco silver jewelry collectors out there.